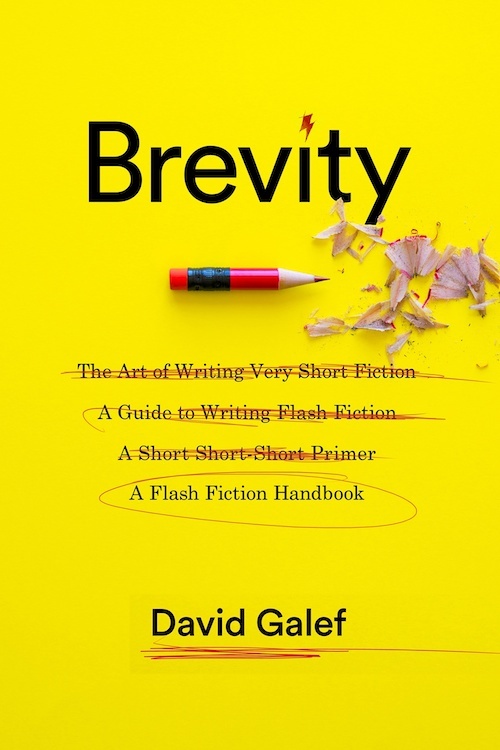 David Galef’s Brevity: A Flash Fiction Handbook is the first full-fledged textbook for writing flash fiction, from tips on technique to samples by canonical and contemporary authors to provocative prompts that inspire powerful stories in a little space. Brevity traces the genre back to its varied origins, from the short-short to nanofiction, with examples that include vignettes, prose poems, character sketches, fables, lists, twist stories, surrealism, and metafiction. The authors range from the famous, such as Colette and Borges, to today’s voices, like Roxane Gay and Bruce Holland Rogers. Author of over a dozen books and the creative writing program director at Montclair State University, Galef also shows how flash fiction skills translate to other types of writing. Brevity is an indispensable resource for anyone working in this increasingly popular form. Galef is an excellent writer, and the book throughout is a delight―he makes the reader want to immediately start writing…. He provides deft insights and suggestions on editing… and he suggests techniques that work well when applied to a small text. Best of all, each chapter provides examples of great flash fiction―from authors as different as Saki and Steve Martin―as well as ideas for readers to explore. If I had to choose just one book for my class in writing flash fiction, it would be this one. Practical, direct, wonderful examples, fun to read―if this book doesn’t energize your writing, nothing will. Brevity represents a useful addition to the range of current creative writing texts, combining an anthology of flash fiction with an analysis of the subcategories within the form and writing exercises that will inspire students. Galef’s witty, welcoming tone will appeal to beginning and intermediate writers. Often, I felt so inspired by the prompts that I wanted to sit down at my computer and try the exercises myself. Brevity is a thorough introduction to the form, offering a variety of strategies for composition, as well as a wide-ranging, international anthology linked to each chapter’s focus. A relentlessly generative, eclectic, instructive, entertaining, and motivational text.